I’m trying to switch from lightdm to gdm but have some trouble doing so. Gdm won’t start. When I disable lightdm and enable gdm, gdm gets stuck in an infinite reset loop. It tries to start, crashes and resets over and over again until I somehow manage to switch to a TTY and quickly run commands to enable lightdm again before next iteration of the gdm reset, witch flickers the screen and throws me out of the TTY. I’m pretty sure it has to do something with me using nvidia drivers which I have to do since I’m running a GTX 1060 and the noveau driver is a mess that not only messes up performance but has my GPU fans spinning full blast 100% of the time. So anyone suggesting that I can already politely say that it’s out of the question so don’t bother. I want to be able to rum gdm with nvidia drivers, which I can do just fine on Ubuntu 17.10 by the way so I know it should be possible. Anyone who can help me out with something to try? Have you tried to start GDM with Linux fallback or Linux-lts? I’m using the lts kernel at the moment but have tried on the 4.14 kernel as well and on fallback. Hi there. I know nothing about Nvidias, but I used to run into the same problem when using Gnome. That was because my card simply didn t support Wayland, which is the default session of Gnome. Checking your issue with Ask Ubuntu confirms that your card doesn t support Wayland session, (not even under Ubuntu 17.10, of course). So, you ll have to select the Ubuntu on Xorg option on the GDM login screen to enter the X session. Please, try it and let us know if it was successful. I can’t get to the GDM login screen. Just when it’s about to load the login screen it seems to crash and then a new loop starts as I described above. On Ubuntu I can get to the login screen and just like you said I can choose Ubuntu on xorg. But in Antergos the GDM login screen doesn’t even show. It just gets stuck in an infinite start GDM-GDM crash-start GDM loop over and over again. I would have done this but I can’t now because I abandoned Antergos and did proper install of Arch. So I don’t have this issue anymore. It’s really annoying that Antergos isn’t offering the option to run any other diplay manager other than LightDM when you’re installing the system. This is a serious issue if you’re running GNOME because there’s no way to get a screen saver or a lock screen working without using third pary applications that are poorly integrated into GNOME. I tried xscreensaver f.i. and it didn’t play well with Caffeine. And it looks atrocious , like something from the mid 90’s! Just so we’re on the same page here. What you’re telling me is that we won’t let you choose but decide what is best for you because we know what you want and what is best for everyone. Good, that’s why I no longer use Antergos. Maintaining all the different Desktop Environments is a hard task, this is not a decision on forcing you to use something, it is a question of minimalism, and as the wiki link i give you and also the solution i offer you before, it is of cause possible to change the DM! I am using GDM here also on Antergos, because i need it for some reason, and i have no issues. May you misunderstand me here, it is only a problem with GNOME itself, and the way it is developed, it is not possible to offer a GNOME Desktop developed and maintained by Antergos itself, as we are using Archlinux repositories and do not build this packages at Antergos development side. Naturally it is totally up to you which operating system you use. All of them have their pros and cons. And good luck with Ubuntu (if that is your choice). Anyways, it is good to know what your options are. By changing things you gain something, and loose something else. All I was asking for is the possibility to make the decision at install. There are three major display managers. LightDM, GDM and SDDM. And since you are using the Arch repos you wouldn’t really have to maintain anything since arch is doing that for you. 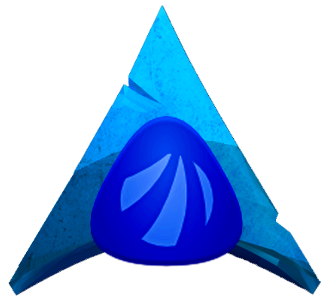 GNOME is the “default” desktop of Antergos. Yes, you can choose a number of different ones at install but the installer runs GNOME and I bet GNOME is what the bigger part of Antergos users are running. Why on Earth would you make it so that not all functionalities of your nr. 1 desktop environment are working out of the box?! I’m not running Ubuntu. I switched to Arch. OK. What I said still holds. And good luck with Arch! I just think it’s sad since I really liked Antergos. That’s what bugs me the most that it would not take much effort to fix the issue. I used Antergos for quite some time a couple of years ago and it was the same thing. Only then the switch to GDM was not as problematic. That time I was pretty much forced to switch to GDM not only to get the functionalities but because an update in the Arch repos broke the Antergos GTK greater. You need not look further than in the forums. Lots of people complaining that they can’t get the lock screen and screensaver working and then switch to GDM the first thing they do after an install. Then why not give them the option at install? It just makes no sense!